As Senior Portfolio Strategist at Townsquare Capital, Chris works directly with financial advisors and their clients in developing, implementing, and monitoring investment portfolios and financial planning strategies. Chris heads up the investment audit and proposal capabilities of the firm. He also sits on the Townsquare Capital investment committee and is responsible for helping to develop the firm’s investment policies for conducting due diligence on the investment offerings available through the firm, including alternative investments. Chris has been a registered representative and investment adviser since 1992 and has been a General Securities Principal since 2003. Chris also holds the Chartered Financial Analyst (CFA) and CFP® designations. 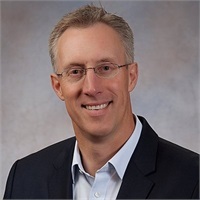 After graduating from Brigham Young University in Business Management & Finance, Chris began his career as a financial advisor working for Shearson Lehman Brothers, then Merrill Lynch. During the past 25 years, Chris has also worked for other independent wealth management firms where he focused on advising financial advisors and their clients on portfolio construction, investment selection, and retirement planning.